Tab-on-tab-on-tab-on-tab does this ever annoy you? Do you want some of the WebApps you use everyday to open more like a native app? 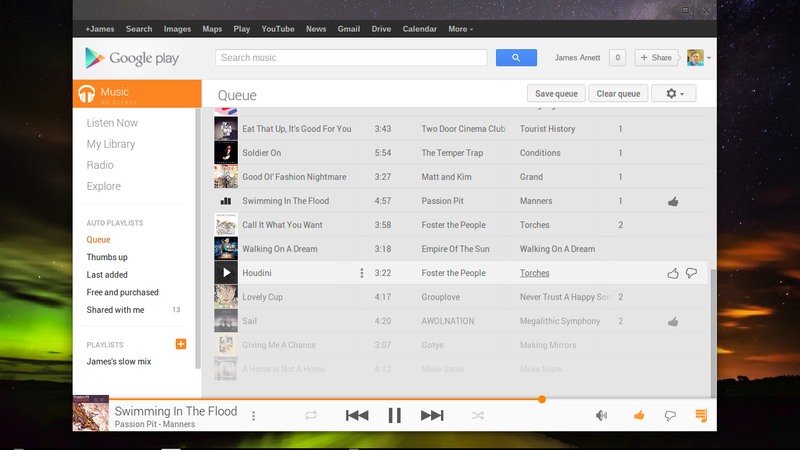 With the arrival of v.28 for Chrome OS you now have more options in how you want an app to open. The screenshot above depicts an option known as “Open as window“. This option opens the selected app web or native as a standalone window that operates on its own. No tabs or other apps will open in this window. Handy right? I think so. So what other options do you have? Check out my screenshot below. Launcher Options Popup. Click for Larger Image! A couple of suggestions for the rest of the options. For apps that tend to open more tabs when clicking around them I would suggest “open as pinned”. Reason being that if you use open as window and the app opens a new tab it will appear in a new browser tab. This can be quite annoying. What launcher option’s do you use the most? Let us know in the comments section down below. 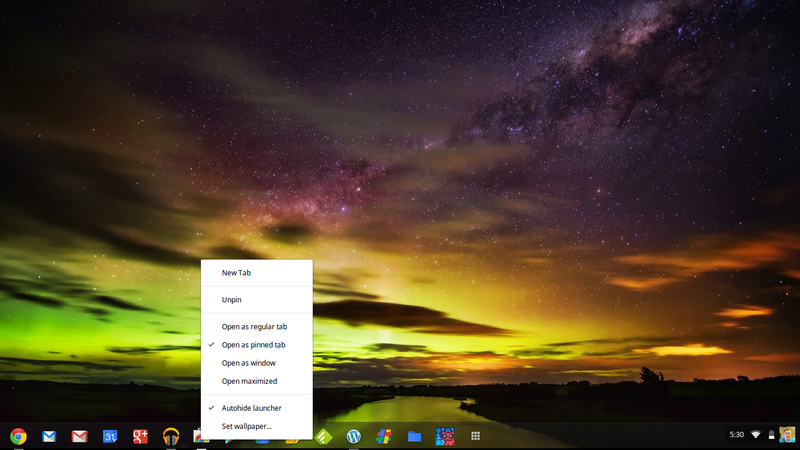 This entry was posted in Chromebook, Software Tips, Tips and Tricks and tagged chromebook, chromebook tips, google, Google Chrome, Google Chrome OS, Launcher Options, Screenshot, Tab (GUI), tips, tips and tricks, Web browser, Window by James Arnett. Bookmark the permalink.